Everyday millions across the world buy something online ranging from dresses, electronic gadgets and furniture to even perishable food items. They purchase those products with their credit or debit cards, whose details are typically stored in the online platform after the very first purchase. The information remains protected there from hackers. This is because of various data security solutions protecting such sensitive information. Quantum cryptography is one of them. It differs from the typical cryptography methods by depending on physics instead of mathematics. Its demand has flourished in the recent past owing to the ubiquity of smartphones and other smart devices and the heavy dependence on the internet for most of our purchases and bank transactions. The rising trend of bring your own device (BYOD) in organizations has also majorly boosted their uptake. Since BYOD allows employees to access confidential corporate data anywhere, anytime on their personal devices, it is imperative to protect those from cyber-attacks and hacking. Public utilities and defense sectors too are driving demand big time for the solutions. Myriad new technologies have proved a boon for the market for quantum cryptography. One of them is the use of biometrics, in which facial and fingerprint recognitions are being leveraged. Currently, North America is the most promising market where numerous organizations thrive on the back of latest technologies, including the exploding ecommerce sector. Asia Pacific and Europe are other key regions which are expected to present healthy opportunities. The banking, financial services, and insurance (BFSI) industry is at the forefront of driving the market in all the continents. This is because of the additional importance attached to the security of the highly sensitive customer data such as bank account number and credit card and debit card details. With growing popularity of the Internet, which has turned into a necessity in the past decade, and the ubiquity of smartphones, the need for secure communications, data safety, and protection against cyber-attacks has escalated exponentially. Quantum cryptography is a dependable solution for growing data security issues, but unlike typical cryptology methods, quantum cryptology depends on physics rather than mathematics, and the market for the same is expected to expand at a strong CAGR during the forecast period of 2017 to 2025. Based on end-user, the global cryptography market can be segmented into governing and regulatory bodies, small and medium enterprises (SMEs), and large enterprises. 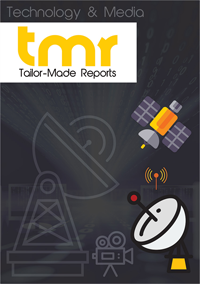 Geographically, the report studies the opportunities available in cryptography market in several important regions including Asia Pacific, North America, Europe, and the Middle East and Africa. The report has been prepared to act as a credible business document for the stakeholders of this market, and estimates the future scenario until 2025. The growing demand of bring your own device (BYOD) across several organizations is the primary driver of the global quantum cryptography market. With BYOD policies, employees can access organizational data and applications on their personal electronic devices such as tablets, smartphones, laptops, and desktops, which in turn provides flexibility to work from any location, at any time. BYOD goes a long way in improving productivity and reducing operational costs. Growing use of cyber security solutions in public utilities, escalating need for cyber security in the defense sector, incoming demand from business enterprises, and the need for secure internet transaction are some of the other factors augmenting the demand in the global quantum cryptography market. Currently, government bodies are the most profitable end user segment in the global quantum cryptography market, gaining from factors such as the availability of online utility bill payments, adoption of e-government initiatives, and growing number of corporate accounts that these agencies need to manage. This segment is expected to remain most prominent throughout the forecast period. Incrementing use of biometrics for network security is opening new revenue avenues for the vendors operating in the quantum cryptography market. Facial and fingerprint recognition are now frequently used for security purposes at various organizations such as financial services, banking, and insurance (BFSI) and healthcare. By integrating biometric technology with software types, data transmitted via emails can be secured. For instance, Ceelox, a key biometric services company, already provides software application that offer information encrypting and decrypting in emails. In the recent past, North America is the most lucrative region for the players in quantum cryptography market, which is a reflection of prevalence of insider frauds in several organizations, popularity of ecommerce and online payments, adoption of new technology, and rising number of cyber-attacks. North America is expected to remain the most prominent region throughout the forecast period, although Asia Pacific and Europe are also anticipated to present healthy opportunities in the near future. The fragmented nature of quantum cryptography market is a result of a large number of participants, both multinational and local. As the demand for quantum cryptography solutions diversifies across other sectors, technological innovation and solution extension is expected to determine the leader of the market in the near future. HP Development Company, ID Quantique, IBM, and Nokia are some of the key players in the global quantum cryptography market, while other notable players are Google, Intel, QuintessenceLabs, Alibaba Group, Infineon Technologies, BT, KPN, MagiQ Technologies, Lockheed Martin, McAfee, Microsoft, NEC Corporation, Mitsubishi Electric, NTT Communications, Raytheon, Toshiba, and SK Telecom.